Have you found that no matter how many diets you have gone on you still have not got your weight under control? It is not news to most people that there is something spectacularly unsuccessful with using the diet* approach to reducing our weight and keeping it off permanently. You go on a diet, lose some weight and before you know it you are off the diet and have put all the weight back on and then some more. The problem for many is not knowing of a successful alternative to the diet approach to weight control. Of course we all know the initial excitement of going on a diet (just about any type of diet that is). At first it does seem to work. Most diets are based on restricting calorie intake in one way or another. Initially our enthusiasm helps us to stick with it for two or three weeks, sometimes even longer depending on individual factors. Meanwhile, many diets also contribute to an initial water loss from the body. Put this together and the scales often do reflect a weight loss in those first few weeks of dieting. But then the problems set in. Do we imagine we are really going to live on this diet forever? Not really; our mind typically thinks along the lines of "Well I will just lose the weight I want then go back to normal eating." Well of course it was our "normal" way of eating that got us into trouble in the first place. Low calorie diets cause you to lose fat and muscle in the same proportion but when you gain the weight back it is all in fat. Many diets require you to buy special, and often expensive, foods and supplements. Once one or more of these factors kick in you are off the diet and back comes the weight - until of course you try the next miracle diet. The good news is that Hypnosis can put an end to this frustrating and depressing diet cycle. 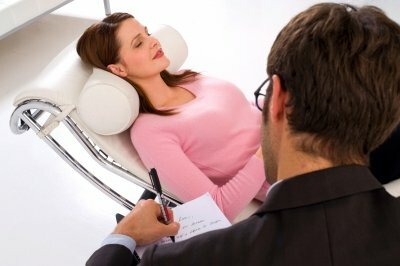 "Studies reported in 1986 in the Journal of Clinical Psychology and the Journal of Consulting and Clinical Psychology showed hypnosis to be an effective tool in losing weight and keeping it off." Return here from The Trouble with Diets to the Weight Loss Hypnosis page here. 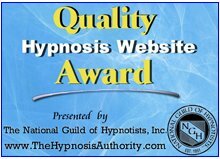 Return here from The Trouble with Diets to the Hypnosis Information Home page. * The term "Diet" as used in this article does not refer to attempts to lower fat, sugar, salt, or cholesterol intake, increase fibre intake, exercise or pursue a medically mandated nutritional regimen prescribed for specific medical conditions.